Cute three bedroom, two bathroom home. This home is turnkey with new wood laminate flooring, new paint, new cabinets in the kitchen with brand new granite counters. Back yard has Alumawood patio cover, brand new fencing and RV parking. Beautiful East Bay Waterfront Home located on a cul-de-sac in the Gated Community of Canyon Lake offering amazing lake views! You have two covered balconies to relax and enjoy your lake view, one from your master bedroom and one on the main level. Enter onto your flat driveway that can have either boat or RV parking plus your 3 car garage. This 4 Bedroom 3 Bathroom updated home (one main level bedroom and bathroom for guests) has cathedral vaulted ceilings, a separate formal dining room, an amazing kitchen with all custom cabinetry, granite countertops, 3 ovens, induction cooking stove, a separate bar area & pantry. Your Master retreat upstairs has an awesome covered balcony, fireplace, bar nook and completely remodeled master bathroom. Each bedroom is spacious and open with great size closet space. Enter outside to your serene waterfront backyard that has drought tolerant turf, 2 extra storage spaces underneath the balcony, a relaxing custom dipping pool with a waterfall to end your day & a covered boat dock with hydro-lift. This home is an entertainers delight, do not miss it! *PRICE REDUCTION & Updated Exterior Paint* Awesome Lakefront home located in the Gated Golf & Lake Community of Canyon Lake! Located in the Quiet East Bay with Beautiful Lake Views is this wonderful 4 Bedroom 3 Bathroom Home with 3 Car Garage. Enter the Gated Courtyard into this updated home with Laminate Flooring in the main living area and Fresh Paint Throughout. The great room features vaulted ceilings and stone fireplace open to the spacious kitchen with granite counters and stainless steel appliances. Just off the great room are sliders leading to your deck with built-in BBQ and panoramic lake views. The main level includes the master suite with cedar lined closet, sliders to lakeview deck, and master bath offering double sink vanity, large soaking tub, and glass shower. Upstairs are 3 more spacious bedrooms and bathroom. Upgrades include custom lighting and ceiling fans throughout, shutters, and quiet cool whole house fan. Outside is made for entertaining and lazy lake days with bi-level patio, lake views, and marine grade wood dock with bumpers, lift and cover An added bonus is large storage area under the house - perfect for kayaks and toys. This Property is in the Renaissance Redevelopment area. Commercial Zoned. A rare opportunity in the Orange Crest Estates area. This home has 3,413 sq. ft and offers four bedrooms, three full bathrooms, a large office which could be turned into a fifth bedroom. The kitchen has dark granite countertops with a beautiful stone tile backsplash, antique white cabinets, a Butler's pantry with a wine refrigerator. The large family room has a fireplace, the home also has a formal dining room, formal living room and a large laundry room. Upstairs has three bedrooms with wood floors and a loft area and media area. There is a large master bedroom and a large master bathroom, his and her closets and a big soaker tub. Outside, this home has mature landscaping, stamp concrete and much more. This home is a must see with low tax area and no HOA. Gorgeous model home! This is a Flagstone model in the beautiful community of Sundance. 3786 sq. feet, five bedrooms, four baths, three car garage with a loft. This home comes with a GEN smart which is a small apartment built into the house for a mother-in-law or older child this. Model home is complete with over $200,000 in upgrades, all the furniture is included, this home has tile floors, gorgeous granite countertops, large island ,double oven & large pantry which looks out onto a living room and a formal dining room. Sliding windows open up to a beautiful covered patio with the built-in fireplace with gorgeous furniture around it and also a fire pit with patio furniture. Master bedroom is complete with a large master bath, walk-in shower, soaker tub, large walk-in closet with a very upgraded closet organizer. Home also has three other bedrooms and the Jan smart. The Jan smart is complete with small living room area with microwave and a small refrigerator, complete bathroom and a bedroom with its own private entrance. This home is a must see! Gorgeous builders model home in the gated community of West Ridge, an award winning area of Canyon Hills. This home has been professionally decorated and landscaped with open floor plan, upgraded kitchen featuring granite countertops, custom cabinetry, stainless steel appliances with a large island for entertaining. One bedroom and a full-size bathroom downstairs. Three more bedrooms and two more bathrooms upstairs. Master bathroom has a soaker tub walk-in shower, custom tile and double sinks large walk-in closet. There is a covered patio off the living room and dining room. This is a gated community with shopping, near freeways and local parks. All new Summit park with pools, cabanas and a sundeck. Canyon Hills offers over 900 acres of open space, community recreation centers, basketball and tennis courts. This home has all the extras that you can imagine! Gorgeous custom ranch single story home with three large bedrooms and three full bathrooms. Bedrooms have built-in drawers and very large closets, two of the bedrooms could be used as master’s with bathrooms attached. Formal living room, formal dining room & built-in China cabinets. Kitchen has double oven, built-in stove and dishwasher also a trash compactor. The pantry is a room of it own. Off the kitchen there is an office or game room. There is also a large family room. This home has a two car garage in the front that’s very oversized, it’s 26 x 28 and has another two car garage in the back and it has a motorhome garage that is 36 x 14. There is also a shop and a craft room attached to the other garage. There is also an oversized RV bay or cover which is 36 x 24. This home sits on 2.23 acres, which is three different parcels. You could put manufactured homes on the other parcels and sell them and probably pay for the price of this house. There are tons of possibilities, plenty of room for horses or a home business , this home is a must see and has low taxes and no HOA. Beautiful single story model home being sold with all the furniture and over $150,000 worth of upgrades.This 2852 sq ft.home has four bedrooms, three bathrooms and a den. Large open kitchen, granite countertops, stainless steel appliances, double oven and large island. Kitchen opens up into large living room with a wood beamed ceilings, Gorgeous tile floors, large formal dining room, sliding glass doors that go out to a California room complete with outside furniture. There is a den or an office, whichever you’d like to use it for. Master bedroom is complete with a master bathroom, soaker tub stand up shower, door sinks and walking closet. Three other bedrooms completely furnished this home. Three car garage. this home has it all, this is a must see! Welcome to Victoria Grove! This stunning 4 bedroom, 3 bathroom home, with one bedrboom and full bathroom down stairs will Wow you with all the most desirable features, including crown molding and baseboards, custom built-ins in the living room, laminate wood floors, plantation shutters, multi-use loft area, Granite counters and stainless steel appliances in the kitchen, recessed lighting throughout, walk in closets with built-ins, upstairs laundry room, gorgeous tiled fireplace with custom mantle and the list goes on! 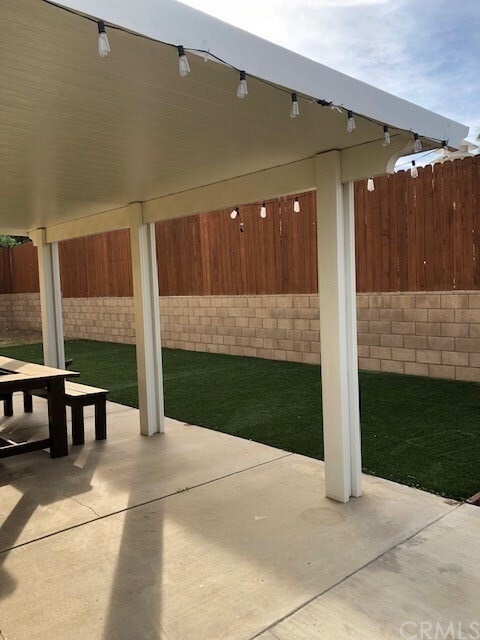 The backyard is beautifully manicured and the patio has stamped concrete and an alumawood patio cover with lighting and ceiling fans. There is also a separate office with phone, internet, lighting, TV and AC! The 3 car garage has custom lighting and cabinetry with insulated garage doors. Garage is big enough for a standard size stuck to fit,. Wi-Fi controlled thermostat and sprinklers in back and front yard. Don't forget the association pool and spa! Great neighbors, great schools, nice and quiet location with no neighbors behind. So much care and attention to detail has been put into this beautiful move-in ready home! Gorgeous builders model home in the gated community of West Ridge, an award winning area of Canyon Hills. This home has been professionally decorated and landscaped with an open floor plan, upgraded kitchen featuring quartz countertops, custom cabinetry, stainless steel appliances with a large island for entertaining. 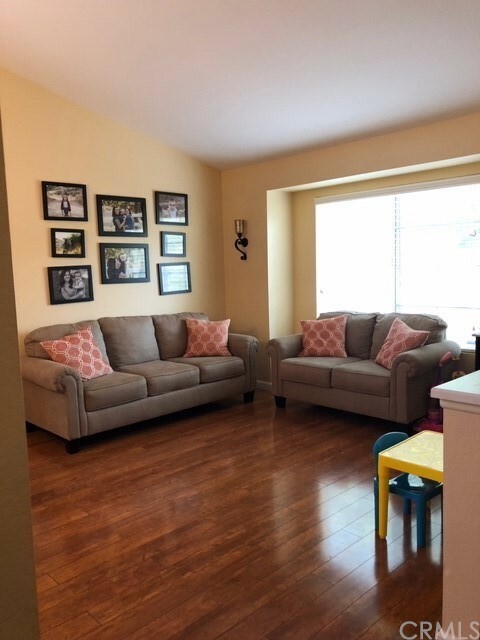 Office or den downstairs with a half bath, upstairs has large master bedroom with a large master bathroom with a soaker tub, walk-in shower, custom tile, double sinks and large walk-in closet. Two spare bedrooms and one full bathroom and full-size laundry room. There is a covered patio off the living room and dining room. This is a gated community with shopping, freeways and local parks and an all new Summit Park with pools, cabanas and a sundeck. Canyon Hills offers over 900 acres of open space, community recreation centers, basketball and tennis courts.This home has all the extras that you can imagine! Fabulous brand new model home with all the furniture and all the upgrades included. Four bedrooms, three full baths, 3164 sq. ft. and three car garage. This home has a GEN smart which is a separate living space for mother-in-law, older child or whatever you would like. Large island with quartz counters in the kitchen, stainless steel appliances, tile floors & large 12 foot sliding glass doors. This beautiful home has it all, in an award winning community of Sundance which has two large pools, picnic areas & barbecue areas, new schools, lots of new shopping and close the freeways. Gorgeous 7 bedroom/4.5 bath Home! 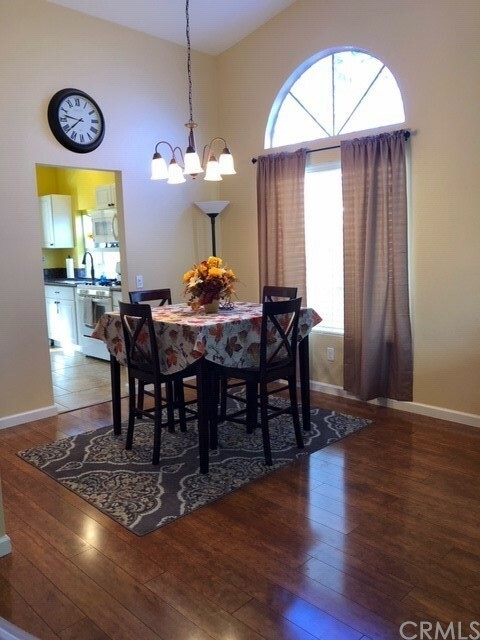 As you enter the home you are met by the spacious open concept floor plan which features a formal living and dining room with vaulted ceilings, custom neutral paint, upgraded blinds, and decorative chandelier. The upgraded kitchen offers granite counters, stainless-steel appliances, double ovens, custom cabinets that provide lots of storage space, walk-in pantry, recessed lights, a breakfast bar with room for seating, tile floors, and is conveniently open to the family room. The family room has a tile fireplace, entertainment nook, and lots of natural light. You'll also find a full bath downstairs and also a half bath for guest. There are 3 bedrooms downstairs perfect for in-laws or guests. The spacious master suite comes complete with an entertainment nook, walk-in closet, and a master bath with tile floors, his and hers sinks, vanity, stand-up shower, and separate tub. There is also a large loft upstairs that works great as a play room or extra living room! 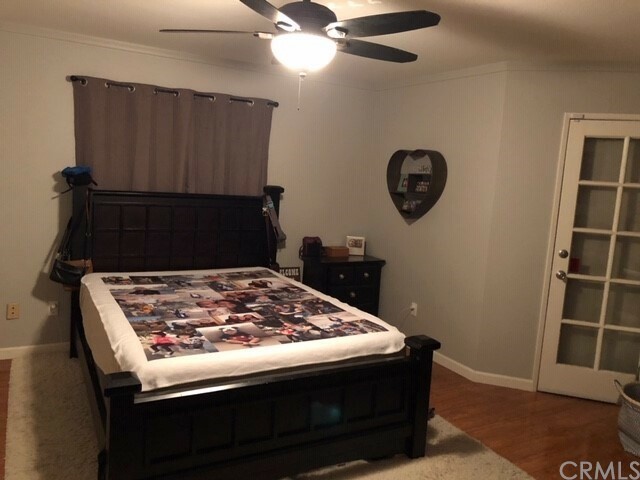 All other bedrooms have ceiling fans, crown molding, and are a great size as well! 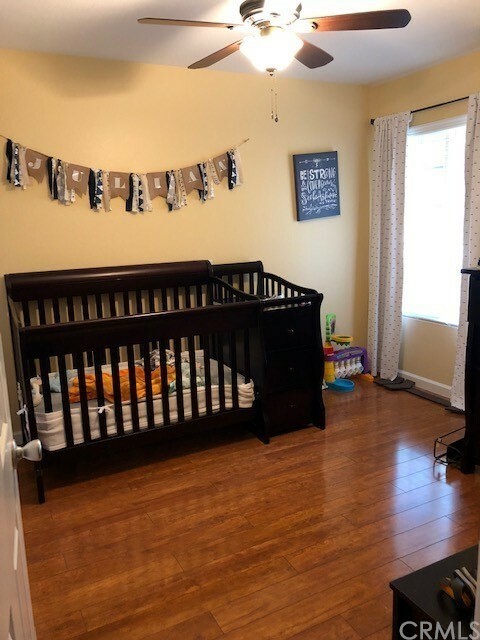 One of the bedrooms upstairs has its own bathroom.The huge backyard has a covered patio, lovely trees, and plenty of extra space for entertaining family & friends! Large lot about 10,000 SF! Near award-winning schools, great parks, walking trails, and more! Fabulous 5 bedroom, 4 1/2 bath home, 3829 sq. ft. built in 2005. One bedroom and full-size bathroom downstairs. Kitchen has stainless steel appliances, large island & white counter tops. Family room has a fireplace, there is a living room and formal dining room. This home has an office downstairs and a half bath downstairs. Upstairs has a large loft, master bedroom with large master bathroom & large walk-in closet. Another bedroom has a bathroom built in the room and you have two more bedrooms with another full-size bathroom. All bedrooms have ceiling fans and blinds. Newer paint throughout the inside of the home . This home has a three car garage with a pull through garage on the single car side. 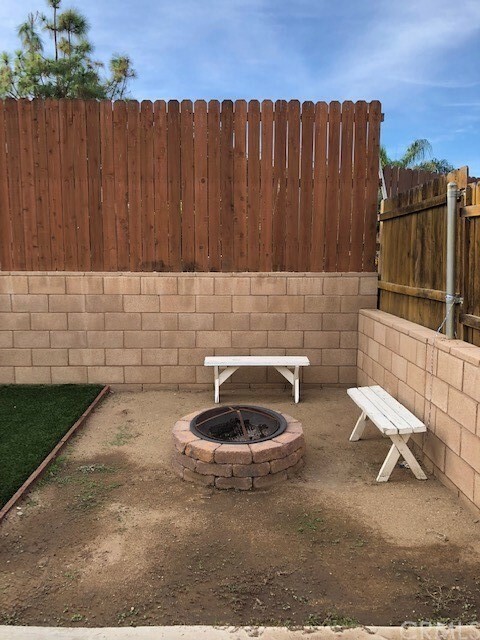 Backyard has a built-in barbecue and a fire pit and is beautifully landscaped with tons of fruit trees and a covered patio. Model Like single-level home. Designed with connectivity in mind, the Great Room, Dinning room and California Room seamlessly integrate and allow for indoor/outdoor living. 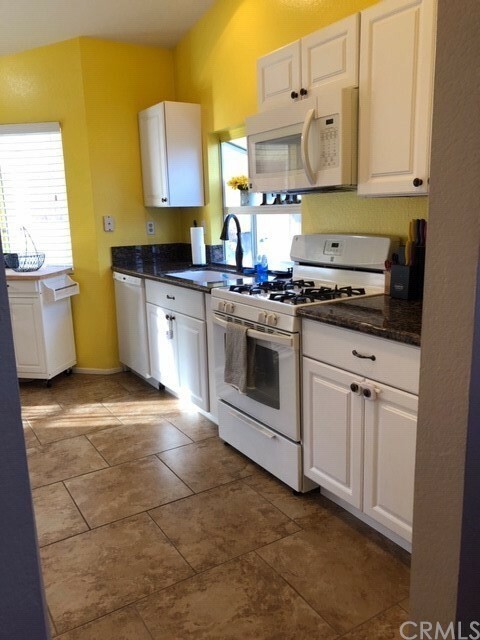 Stainless steel appliances, large center island with seating, walk-in pantry, granite countertops and an abundance of cabinets outfit the kitchen. 4 bedrooms and 2.5 Bathrooms 2688 sq ft. , Tile floors in all the traffic areas, lush carpet in bedrooms. Shutters and custom blinds on all the windows. Large Laundry room with tons of storage. Outside has drought tolerant landscaping, a large California room, perfect for hanging out and watching TV., Room for RV parking...This home is a must see. Charming remodeled home with three bedrooms one full bath. There’s all new plumbing, all new double pane windows, kitchen has new cabinets and granite countertops. Bathroom has been remodeled with a tile shower, new vanity with the granite counters and wood laminate flooring throughout the home. Tile is in the kitchen, dining room and bathroom. All rooms have ceiling fans, new forced air heating and air-conditioning. Crown molding is in the living room. Front and backyard landscaping with automatic sprinklers and a garage with automatic garage door opener. Bluetooth ready. Washer, dryer and freezer will stay with the home, also gazebo in the backyard will stay. Large finished shed in backyard. All new electrical breaker box and breakers, security screen doors and walk up ramp to the front door with iron railing. This home is a must see. Fantastic five bedroom, three bathroom home with a loft and a bonus room upstairs. This home on a cul-de-sac is 3176 ft.² built in 2005 with a three car garage. The Front yard is beautifully landscaped. The backyard has a concrete patio great landscaping and no rear neighbors. There is room for an RV parking. One bedroom and one bathroom downstairs. Large family room ha a fireplace. The kitchen has a large island & granite counter tops. Upstairs loft has a built-in desk. There is also a large bonus room which could be a sixth bedroom. Master bedroom has sliding doors that go out onto a balcony, large master bathroom, sunken jetted tub, stand up shower & large walk-in closet. No HOA! Fabulous home in Nuevo. 4 bedrooms, 3 full bathrooms, 21 85 sq ft. 3 car garage with a 13,500 square-foot lot, this home has been totally redone. New carpet, new flooring, new kitchen with white cabinets, granite counters & stainless steel appliances. Shutters in almost every window. New recessed lighting. There is 1 bedroom and 1 full bathroom downstairs. Upstairs in the master bedroom has been totally redone, new floors, new paint and new window coverings. Master bathroom has been re-done with quartz counters, double sinks, large tile shower with walk in closet. This home features a pool and spa, large enough area to have horses or a workshop in the back of the property. RV access on the side this home this is a must see, low taxes and no HOA. Gorgeous new Brookefield home in the new gated community of Providence. This home is four bedrooms, 2.5 baths 2952 squarefeet, built in 2016. This home has over $50,000 in upgrades, large livingorgeous flooring, kitchen has large island, granite countertops, stainless steel appliances, custom backsplash and large walk-in pantry. The home has a large living room. Master bedroom is complete with master bathroom, tiled shower soaker tub, double sinks & large walk-in closet. There are three more bedrooms, Jack and Jill bathroom and one powder room. Laundry room with shelving and covered Arizona room where you could sit and watch the beautiful sunsets. This home also has a tankless water heater and reverse osmosis .This home is in a master-planned community with pools, barbecue areas, skate park, playgrounds and tons of amenities. Gorgeous brand new Pardee home! 4 bedrooms, 3 bathrooms, 3297 sq. ft. All the bedrooms are downstairs. This home has upgraded vintage flooring, upgraded backsplash in the kitchen with a large island, granite countertops and a farm sink. Living room and dining room have stacking sliding doors which open up all the way to a Arizona California room. Master bath has upgraded tile in the shower, soaker tub and a large walk-in closet. Upstairs is a large bonus room and one more bathroom. This home is a must see! This gorgeous 3753 sq ft home with 6 bedrooms and 4 bathrooms, Santa Cecelia Granite kitchen countertops paired with a beautiful custom backsplash Harvest kitchen cabinets Upgraded flooring Outdoor living space included Electrical options Upgraded flooring Dual 16' sliders, Office and Bedroom and Bathroom down stairs, Tankless water heater Stainless steel kitchen appliances including double oven built-into the cabinets, Upstairs Laundry room and loft, Solar panels installed, lease This home is a stunning must see ! Large single story brand new Pardee home! 5 bedrooms, 3 full bathrooms, large kitchen with granite countertops, stainless steel appliances, walk in pantry and an extra large kitchen sink. The kitchen opens up to a spacious family room with tons of lighting and stackable sliding glass doors. Large master bedroom and large master bath with soaker tub, stand up shower, double sinks and walk in closet. Spacious built in patio with oversized backyard. All this with a large three-car garage. Large Family home in growing Menifee! This home features 5 bedrooms and 3 full baths. Home has both formal living room and dining room. Wood and tile flooring, custom paint, shutters and blinds, ceiling fans. The kitchen has an island with breakfast counter, granite counter tops, built-in gas cook top and double oven. Off the kitchen is the laundry room with access to the patio and a built-in desk for bill paying or homework time. The large family room is open to the kitchen and features a fireplace and plenty of windows adding natural light. There is a bedroom and full bath on the first floor. Upstairs features an oversized loft. There are 3 bedrooms upstairs plus the master suite. There is a full bath off the hall. The privately positioned master suite and tiled bath has a large walk-in closet with his and hers sides, wardrobe mirror and an outstanding oval soaker tub. The backyard features a concrete patio with a Aluma wood cover. Large landscaped back yard and a large side yard with maybe room for small RV. This home is a must see. This new model home is in the gorgeous track of Sundance in Beaumont. This home is 1948 ft.² , 4 bedrooms, 3 bathrooms. This home was a previous model which has all the upgrades and furnishings included in the price. The kitchen has a large island with granite counter tops, Cafe appliances, large dining room with 12 foot sliding glass doors which lead out to a covered patio and professionally landscaped backyard. Downstairs has upgraded tile flooring in the living room and is pre-wired for surround sound. Leading upstairs there is a white open rail staircase, laundry room upstairs has a washer and dryer and large shelving for all of your storage. Master bedroom has a ceiling fan, large master bathroom, soaker tub, large shower and a walk-in closet. Remember this whole house comes furnished with all the upgrades. Beautiful brand new Pardee Home. 3292 ft, four bedrooms, three bathrooms &three car garage. All the bedrooms are downstairs in this model and two full-size bathrooms are downstairs. Gorgeous kitchen with granite countertops, stainless steel appliances, large walk-in pantry & dining room. Extra-large living room, there are two sliding glass doors they go out onto a Arizona room. Upstairs is a large family room/game room with a bathroom. This home is in the beautiful flagstone community in Sundance. There are two large pools, barbecue areas, basketball courts, playgrounds and lots of amenities with these homes. Beautiful brand new Pardee Home. 3292 ft, four bedrooms, three bathrooms & three car garage. All the bedrooms are downstairs in this model and two full-size bathrooms are downstairs. Gorgeous kitchen with granite countertops, backsplash, stainless steel appliances, large walk-in pantry, farm sink, & dining room. Extra-large living room, there is a sliding glass door that leads out to a Arizona room. Upstairs is a large family room/game room with a bathroom. This home is in the beautiful Flagstone community in Sundance. There are two large pools, barbecue areas, basketball courts, playgrounds and lots of amenities with these homes. Gorgeous three bedroom, three bath home, 2639 sq ft built in 2006. Large living room and formal dining room, master bedroom and bath downstairs, another bedroom and full-size bathroom also downstairs. Kitchen has granite countertops, tile floors and stainless steel appliances. Family room has a fireplace, sliding glass doors which lead out to a large backyard with a Aluma wood patio cover. Upstairs has a large loft, one bedroom and a full-size bathroom. This home is in Palomar Ranch and is a turnkey home. Home is on a corner lot. Turn-Key Flag Lot Single Story Home located in the Gated Golf & Lake Community of Canyon Lake! Enter into your own private driveway (not shared) and secluded home with room for toys, boat & possible RV! 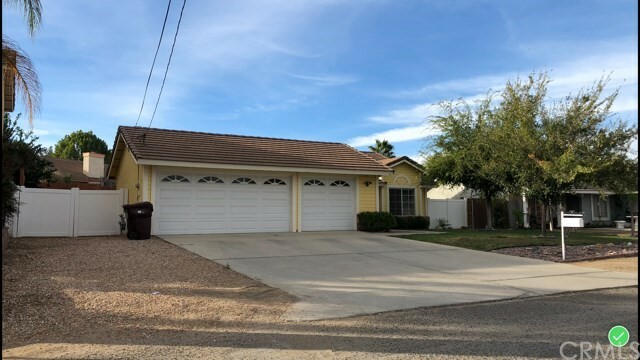 This 3 Bedroom 2 Bath home includes updated interior of hardwood floors throughout, custom tile flooring, carpet, cabinetry, light fixtures, window treatments, both bathroom remodels and a brand new AC. The garage is your new man cave in waiting with epoxy floors and extra lighting. Exterior features include low maintenance/drought tolerant landscaping, newer exterior paint, brand new alumawood patio cover in the backyard, colored concrete patio floor, updated fencing along the backyard, amazing views of the neighboring hills from the secluded backyard and about 1/2 mile from Indian Beach! Not to mention solar with a payment of only $122/month. This home is ready for you to move in, unpack and enjoy all that Canyon Lake has to offer! Don't miss this one. This is a Beautiful Turnkey home, nicely landscaped with a large back yard and an open floor plan. Starting with the kitchen this home has granite counters, dishwasher and microwave, with a walk in pantry & tile floors. Downstairs is mostly wood laminate flooring with a built in fireplace and entertainment area in the family room & crown molding. Upstairs features carpeting, built in desk, and cabinetry for storage. Master bedroom with a retreat/sitting area, separate tub and shower, and walk in closet. Finished garage with built in cabinetry Epoxy flooring and additional storage access to the attic. Ceiling fans, tile bathrooms, bonus room, laundry room with sink, and much more. Back yard has a above ground pool and Jacuzzi. This home is a gorgeous model home, which comes with all the furniture and décor, Upgraded appliances, upgraded tile flooring, granite counters with large island, upgraded Café appliances in kitchen which opens up to a large family room, 1754 sq. ft. 3 bedrooms and 2 full baths with an office. A patio has been built on the back, with professional landscaping in front and back yard. Built in out door BBQ. Located in Master Planned community of Sundance with tons of amenities, Pool, Jacuzzi, picnic, BBQ & play area. Beautiful 3 Bedroom 2.5 Bathroom Home Plus upstairs loft on an Oversized 11,460 Square Foot lot located on a quiet Cul-De-Sac in the desirable Audie Murphy Ranch Community. Enter into an open floor plan with large family room open to the Upgraded Family Eat-In Kitchen perfect for entertaining with Dark Stained Cabinets, Granite Counters, Stainless Steel Appliances, Walk-in Pantry, and Center Island. All Bedrooms are located upstairs including a spacious master suite with walk-in closet and attached office plus master bathroom with separate spa tub, walk-in shower, and double sink vanity. This home is Energy efficient with dual pane windows. Enjoy lots of space inside and out with stamped concrete patio, vinyl white fencing around the property, dog run, and plenty of yard to build your dream pool and still room for more entertaining. Audie Murphy is a master-planned community offering clubhouse with swimming pool, parks, trails, basketball courts, baseball field, soccer field, and skate park. 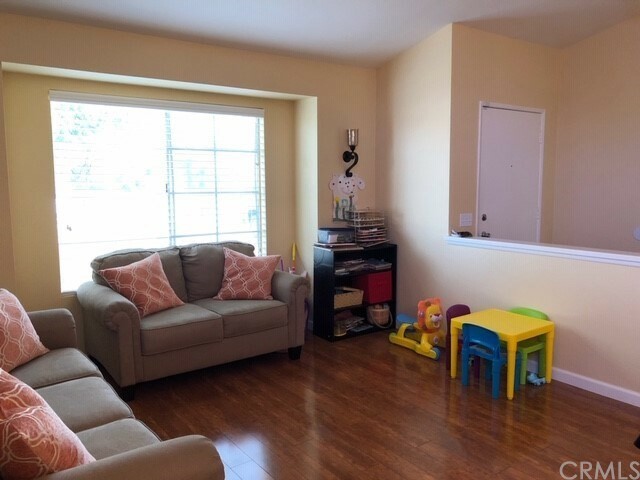 Enjoy this prime location in the heart of Menifee close to shopping, many restaurants, the new entertainment complex and freeways! Don't miss this wonderful home! This Great Rosetta Canyon home was built in 2013 is 2428 sq. ft. with 4 bedrooms, 3 bathrooms & a 3 car garage. One bedroom and a full bathroom downstairs, tile flooring, kitchen has an island and granite countertops with stainless steel appliances. Living room has built-in cabinets, Upstairs has a loft, 3 more bedrooms and a laundry room. Master bedroom has standup shower and a Jacuzzi tub and a walk-in closet. This home is on a corner lot and with no neighbors in front you. Gorgeous views and has solar has been completely paid for. Come enjoy Oasis 55+ Resort Style Living, a Premier Gated Resort Community. This popular Turnkey home is 1734 sq. ft. 2 Bed & 2 Bath home with office is complete with a Living & Dining Room. Custom Ceiling Fans. Kitchen has Double Ovens, and a Large Center Island. The Master Bedroom is spacious with a Dual Vanity Master Bath, separate tub and shower, plus a Walk-in Closet. The laundry room offers additional storage cabinets and a Utility Sink. Other upgrades include: Stained glass windows, Plantation Shutters, Partial Vinyl Fencing and a block stucco fence, Rain Gutters, concrete all the way around the house, Patio cover The home is located on a corner lot located within walking distance of the 22,000 sq. ft. clubhouse, and the hub of activity in the Oasis Community. The Oasis has it all, from the public 36 hole golf course and the clubs activities to the central location ideally located to many areas in Southern California. This active adult community offers everything you could want, LOW HOA Dues, which includes front yard maintenance & trash pick-up and water. Low Tax Rate. Very large five bedroom, three bathroom home 2,657 sq. ft. with a 9,147 square-foot lot. This home has five bedrooms, three full bathrooms, a retreat off the master bedroom and a large loft. There is one bedroom and one full bathroom downstairs, also a living room, formal dining room, large spacious kitchen and family room. Upstairs master bedroom with the master bathroom and two other bedrooms, one other bathroom & the large loft. Backyard has concrete patio with the Alumawood cover & tons of fruit trees. This home is just waiting for some new buyers. Gorgeous 3 bedroom, 2 bath home. Brand new air-conditioning and windows, tile floors. Kitchen has an island and granite countertops. Over a 10,000 square-foot lot with an Extra 25 x 30 garage in the back. Low taxes no HOA. 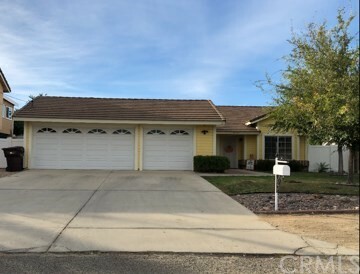 Wonderful 1,910 sq ft , 4 bedroom, 2 bath home in Lake Elsinore. Main floor master bedroom, no HOA, low taxes, 3 bedrooms, 2.5 bathrooms, 1,945 square foot home. Multiple upgrades within the last three years. In the heart of Murrieta close to schools and shopping. Gorgeous 4 bedroom 3 bathroom home Approx. 1948 sq. ft. , one bedroom and bath down stairs. , Upgraded rustic wood looking tile floors down stairs and beige Berber carpet , Large open kitchen with Java cabinets with granite counters with island, large pantry. large family room with sliding glass door leading out to a great size back yard. Master bedroom and bath with oversized tub, with separate shower, dual sinks with large walk I closed. Laundry room is up stairs with lots of storage shelves. 2 car Garage, home also has tankless water heater, Solar panels on lease. Beautiful new home in the fast-growing city of Beaumont in the Sundance area. This is a brand new Pardee home in Cascade, it has three bedrooms, two full bathrooms, laundry room and an office. 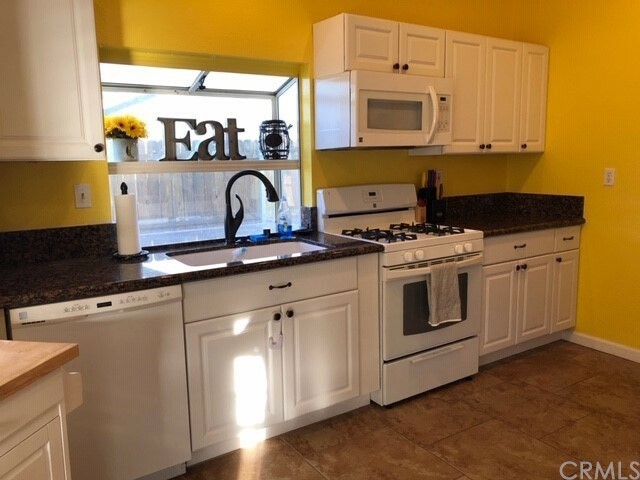 It has 1757 square feet with an open floor plan, vintage flooring, granite countertops, a large island in the kitchen and stainless steel appliances This home has lots of energy saving features like double pane windows and a tankless water heater. This corner house is on a cul-de-sac. There are many amenities in the neighborhood, the new Highland Club has a beach front entrance pool, Jacuzzi, picnic area, playground, basketball courts and a play area for kids and much more! Absolutely stunning pool home located on a quiet street in Hemet. Built in 1974, this beautiful home has been completely remodeled with tons of upgrades. 2168 sq. 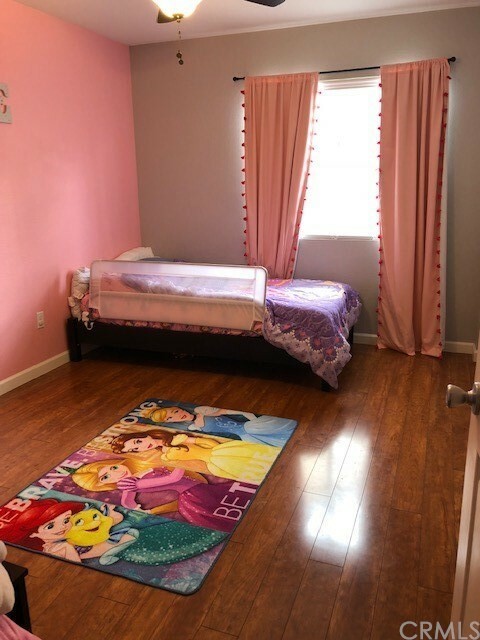 ft. with 4 beds and two bathrooms. Light and airy family room with brick fireplace, and French doors leading to backyard. Brand new kitchen with Coffee Glaze cabinets, travertine floors & backsplash, with granite counters and recessed lighting. Guest bath has been upgraded with new vanity, granite, and new tile floors. The master suite features walk in closet, French doors, new vanity, granite, tile floors, and new travertine shower surround, and fixtures throughout. New wood looking vinyl floors. Very private backyard with blue sparkling pool This turn key home has it all and just in time for summer. low taxes and no HOA. Beautiful home in the established community of Belmont Seville. 4 bedrooms, 2.5 baths, 2460 sq. feet with wood laminate flooring, bedrooms have carpeting. This home has a living room, family room, dining room and large kitchen with granite countertops. Large master bedroom with master bath and walk-in closet, three other rooms and one full bathroom upstairs. 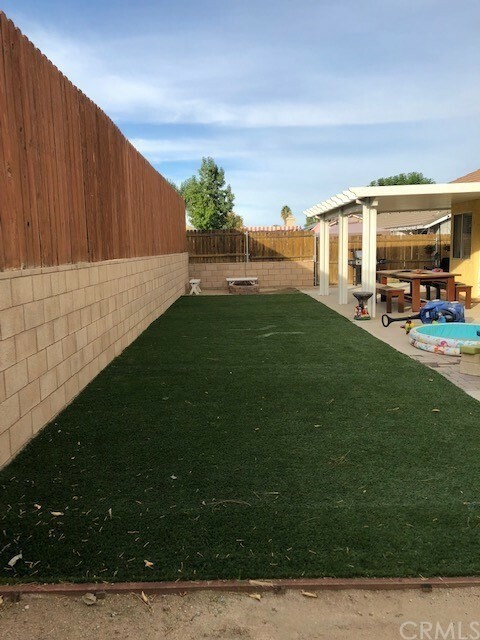 Large backyard with room for the kids and the dogs to play. This home is a must see. HOT DEAL!!!! Single story with 3 bedrooms plus bonus room, 2 full bath, large yard, no HOA, and very low taxes! Newer HVAC, water heater, new flooring, master bath has updated vanity, mirrors, lighting, new toilets. Needs paint interior/exterior, as well as some cosmetic repairs/updating, and general yard cleanup. At this price, the seller is not doing any repairs to the home. Solar lease transfers to new owner. Hurry, won't last long! Fantastic opportunity to own a beautiful 10-acre parcel in fast growing Menifee. This land is located approximately 1/2 mile west of paved Murrieta Rd. City zoning and land use designation is RR-1. Water in street. Property offers many options including ranch site or land division project. Call today to schedule a showing. Shopping and healthcare facilities nearby. 30 minutes to Temecula Wine Country. Little country charmer with two bedrooms, two full baths, 1,000 ft. (+/-). with a 7405 square ft lot. A 3rd room built in garage, used as an office, with an air conditioner- un-permitted. Brick flowerbeds, newer above ground pool, rock and concrete makes this backyard a little oasis. Inside has new flooring , kitchen has brand new paint on the cabinets. This home has brand new double pane windows, brand new air-conditioner, brand new heater and living room has a fireplace. Guest bathroom has a new vanity and standup shower. Master bedroom has Master bath attached. Perfect starter home, low taxes, no HOA and a great price! Must See! Beautiful Turn Key, Single story home located in the May Ranch Community. No HOA! Great floor plan, with a nice sized backyard! Plenty of Great Features...Plantation Shutters/window coverings/ceiling fans throughout, Granite counters, upgraded appliances, upgraded garage door opener! Walking distance from elementary school & parks. Plenty of Outdoors Activities close by! 2bedroom, 2 bath, 1,460 sq ft senior home in the Sun City Community of Menifee. On the Golf Course! Charming 2 bedroom and 2 full bath home in a 55+ quiet neighborhood,1538 sq. ft. with a 6970 sq ft. lot. Large living and dining room with Kitchen with newer cabinets with pull outs and a breakfast bar. Family room with fireplace, office and inside laundry room with tons of cabinets, 2 car garage with cabinets. Large yard, fully landscaped with bubblers and sprinklers, covered patio with fruit trees and a shed. No neighbors behind you. Low taxes. Cute little country house, three bedrooms & two bathrooms. New carpeting and flooring. Open beam ceiling’s in the kitchen. Nice size rooms, extra large backyard with a patio cover. Automatic sprinklers front and back. This home is ready to move in, very low taxes & close to schools and shopping. Charming two bedroom, two bathroom home with living room, dining room and family room. 2 car attached garage, corner lot possibly could have RV parking. Mature landscaping and fruit trees. 55 + community: This one checks all the boxes, clean 2 bedroom 2 bathroom with single car garage. You can't miss it one of the few homes with grass! landscaped front and rear yard set this home apart put the finishing touches on this one. Prior to marketing the seller completed a termite inspection, painted the interior and exterior, and put in new carpet. This one is ready for you. Cute two bedroom one bathroom home. Laminate flooring in living room, tile flooring in the kitchen, white cabinets, white appliances, dual pane windows and ceiling fans. Two car garage with tons of cabinets. Home is on a large lot, 9500 square feet. Two bedroom, one bathroom home about 1000 (+/-) sq. ft. Arizona room, kitchen has tile counters, laminate flooring, electric oven and stove. 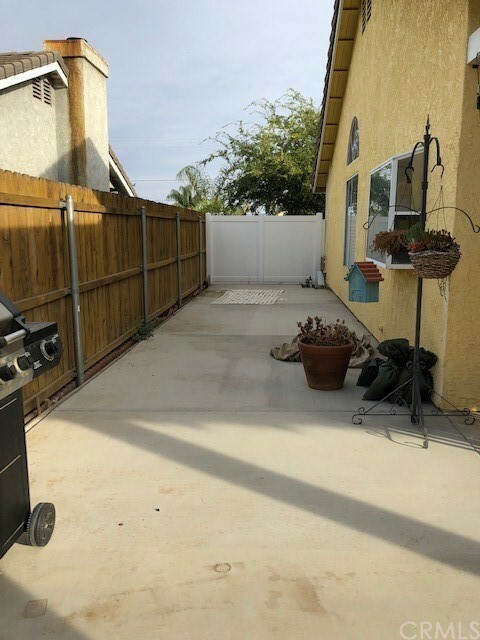 Large fenced in lot with carport and enclosed laundry area. Newly built in 2008!! New Carpet, New Paint, New Appliances! Countertops with Island Breakfast Bar. 4 Bedrooms + Loft + 3 1/2 Baths! Great Open Floor Plan! Large Formal Living/Dining Combo. Large Master Bedroom with separate tub & shower, dual sinks with vanity, and large walk-in closet. 3 Car Garage and Large Backyard. Dual Air Conditioners provide great energy savings!!! Desirable culdesac location in nice family neighborhood! STANDARD Sale - we won't make you wait several days to respond to you offers - hurry hurry hurry! Great starter Located in Sycamore Rocks area. Offers Brand New Carpet in bedrooms and Beautiful Wood Laminate flooring throughout. Plus Freshly painted walls. Close to major roads and local schools & shopping. Property is well maintained and has nice curb appeal. Put this one on the list to see...Won't last long..